Getting a vehicle inspection is a lot like taking your car to the doctor for a yearly physical. If you keep up on things, catch them early so to speak, you keep costs down and have a much happier driving life. Vehicles go through so much while on the roads. No matter if you’re asphalt or dirt, roads will cause havoc on everything from your suspension to your tires to your exhaust to your engine ingesting all the dirt and debris. Not to mention all that shaking that can cause parts to loosen and eventually fall off. And picking up parts off the road is always a bummer. So if you want your car to last you need to take it in to Elkhart Mechanics. Prevention is the best medicine. Unless your car was made before 1976 or is less than four years old, Indiana law requires that it undergo emissions inspection every two years. People who bring their cars from out of state and register them in Indiana are also required to have the vehicles inspected. Motorcycles, show cars, RVs, electric cars, and vehicles that run on diesel fuel are not required to undergo emissions inspection. There are several types of emissions test. The gas cap pressure check is an emissions test applicable to all vehicles made after 1975. It makes sure that no vapors can escape when the vehicle’s gas cap is closed. Cars made in 1996 and after also undergo the On-Board Diagnostics Test (OBD II). This test measures the car’s emissions by connecting to the car’s computer system. 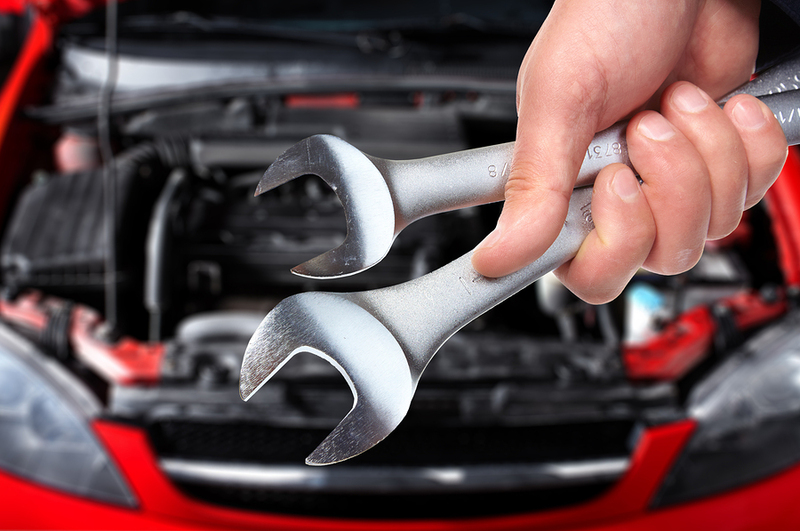 If your car was made between 1981 and 1995, it will need the Inspection and Maintenance Test (I/M 93). This test measures the car’s tailpipe emissions by using a dynamometer. If your car was made between 1976 and 1980, it will need the Single Idle Speed Test (BAR 90). This test is done by putting the car in idle and then measuring the tailpipe emissions by inserting a metal probe. The gases the tests check for are hydrocarbon, carbon monoxide, and nitrogen oxides. These gases can contribute to the formation of ground level ozone, commonly known as smog. Ground level ozone can cause eye irritation and make it difficult to breathe. Carbon monoxide is particularly dangerous to humans, and it can even be fatal if high enough concentrations of it are inhaled. Nitrogen oxides have also been shown to contribute to acid rain, ozone layer depletion, and water pollution. Cars that do not pass emissions inspection are less fuel efficient than cars that do, so making the necessary repairs to your car for it to pass emissions inspection will also save you money in the long term.